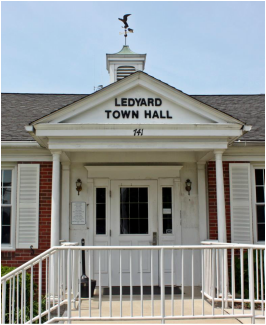 Ledyard offers space for industrial parks, commercial design districts, and horse farms with ample residential areas for families to live and grow. The community emphasizes its historical heritage and traditional New England themes. The community strongly supports planned economic development, and has prime commercial areas along Route 12, Ledyard Center, and along Route 117, all within a few miles of I-95. Local attractions include Colonel Ledyard Park; Connecticut Wine Trail Association; Foxwoods Resort Casino; Highland Lake park; Ledyard Glacial Park; Ledyard Up-Down Sawmill; Mashantucket Museum & Research Center; Maugle Sierra Vineyards & Winery; Nathan Lester House & Farm Tool Museum; Nathan Lester Park; and Sawmill Park.